As the prospect of a hung parliament looms large, our political protagonists can learn much from the politics and personalities of the past. 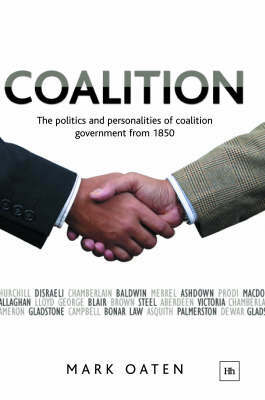 Mark Oaten's story of coalition government begins in the 1850s, with Disraeli fighting for his political life and Queen Victoria's battle to find a Prime Minister from the Whigs and Peelites driving her to despair. At the start of the following century, the First World War threw Lloyd George into the limelight but nearly killed the Liberal Party; Ramsay MacDonald's coalition in the 1930s saw him become leader without his party, who many felt he had betrayed, and Churchill's Great War coalition helped bring victory at war but not in peace. Decades later, two generations and parties came together with David Steel and Jim Callaghan forming the Lib-Lab pact, something Blair and Ashdown's 'project' never managed to emulate. North of the border, a deal did come off, resulting in Scotland being run by coalition government for 8 years. Throughout Europe, coalitions are the norm but recent political events in Italy and Germany have been far from normal. All these lessons from history are drawn together by Mark Oaten as he looks forward to the next election and reflects on whether hung parliaments and coalitions can ever work.